The head of Legendary Studios says assuming that gamers are a built-in audience for game-based films "is an incredibly poor way to make a movie." This Warcraft movie business has been dragging on for a long time, hasn't it? But the bright side to all the waiting, at least to hear Legendary Pictures boss Thomas Tull tell it, is that by taking its time, the studio is less likely to make a mess of it. 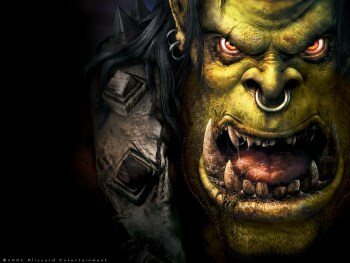 Tull acknowledged that the studio is still trying to figure out how to best turn Warcraft the game into Warcraft the movie but said he thinks the ideal approach is to base it on the game world, rather than the game itself. "It's the incredible story, the war, and these races, and everything these guys at Blizzard have come up with. They have 100 books, and just this incredibly rich world that they've created," he said. And while he acknowledged that they still "don't know how to make a movie out of Warcraft," having Duncan Jones aboard as director is a big plus in getting it figured out. "We've taken our time [developing this property], because we absolutely don't want to screw it up. And I think we're getting close to a place where we're ready to go. And when the script is finished, and when we feel like, 'Forget whether or not there's a built-in audience. Does this stand on its own, and is it great?' then we'll start filming. We're not quite there yet, but we're under suspicion of going there," he said. "And Duncan is one of those directors that you just [think], 'This guy gets it.'" Tull didn't commit to the 2015 release date that was kicked around in January when Jones came aboard, but he did imply that it will probably be somewhere in that neighborhood. "The next two years are going to be pretty exciting, I think," he said.